In a fantastic turn of events and with a little help from my NEW guest house owner, I received an extended 60 day tourist visa for Thailand that will take me through the month of April so that I don’t have to make any visa runs during my TEFL certification course. The nice lady at Civillian’s Inn on Love Lane in Georgetown, Penang took my visa application, passport and two passport sized photos and went to the consulate for me this morning. She had to wait till 3:30pm to pick it up so she went back and just brought it to me! The best part is that it is a free visa! I just paid a small fee of $10 to her for taking care of it for me. This is great news and really lifts the cloud that was hanging over me regarding Thailand. I may have sounded frustrated in my last post, which I certainly was, but at the end of the week it worked itself out. I’ve been feeling a bit sick since Tuesday night but I hop on a minibus to the southern Thai city of Hat Yai in a few moments. I passed through here my first time in Thailand and I am only stopping again to break up the 13 hour journey to Phuket. I’ll be meeting Shawn and Mike, both friends from Florida where we’ll hang out for 3 nights. 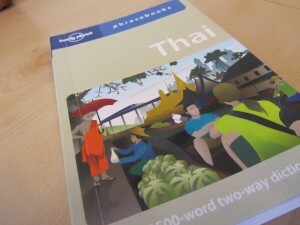 After that, Thailand is mine to do whatever I please until my course starts on April 4th in Bah Phe. This entry was posted in South East Asia 2011, TEFL Related and tagged tefl, thai visa, thailand by jtafuro. Bookmark the permalink. Awesome, glad it all worked out for you Have fun with Shawn and Mike! Don’t get in too much trouble.